A Weddell seal and my guide, Elaine Hood, on the sea ice near Cape Evans. I’ve been thinking a lot about why I came here, or, what got me interested in Antarctica. Despite growing up in southern Virginia, I always liked the cold and snow. When I was a young child, six or seven years old, I became interested in sled dogs and mushing. I thought I was going to be a musher. I don’t know where this came from—we create these ideas as children and they imprint on us. I didn’t know anyone who’d ever mushed. But this odd, childhood fascination might have been the kernel of my interest in cold, remote regions. Starting with The Hatchet and My Side of the Mountain, I was also drawn to survivalist and wilderness literature (this is still true). In front of Mt. Erebus. Photo credit: Elaine Hood. When I was applying to MFA programs in creative writing in 2010 and I saw there was a program in Fairbanks, Alaska, I thought, “Obviously, I’ll be applying there.” But, for some reason, I couldn’t picture myself living there; it seemed too unreal, like someone else’s life. But I was accepted and moved there in 2011. I believe Alaska is the place where I’ve thrived the most. 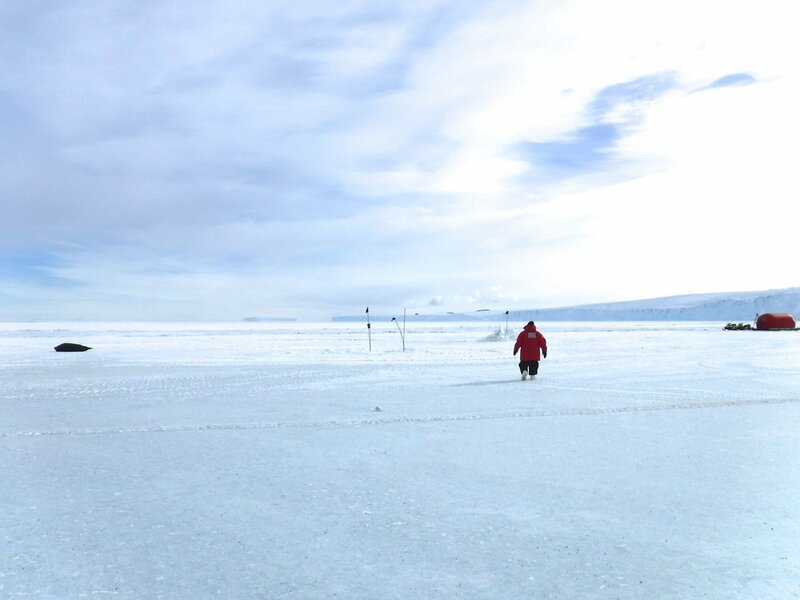 Snow machining on the sea ice. Photo credit: Elaine Hood. It is interesting to have that understanding about a place but not necessarily have the ability or the right timing to live there. The places I lived after Alaska often felt like in-between places, as if I were working my way back to my real life. I was talking with someone this week about how often we do things (living situations, jobs, relationships, etc) that we think are transitional and temporary, and we talk about them that way and treat them provisionally. Then, months and years have gone by, and we realize that thing is actually our life. Weddell seal and Caitlin. Photo credit: Elaine Hood. So, I’m trying to be present in whatever my current context is and cultivate an attitude that is both neutral and grateful. I’ve learned how things can change very rapidly, but days accumulate slowly. Let me describe my present context. I’m living and working in McMurdo, a town of around 900 people. I won’t mislead you—McMurdo is pretty rough around the edges. If you were picturing a futuristic, state of the art research center, you’re off the mark. McMurdo from above. Photo credit: Elaine Hood. Picture an Alaskan mining town surrounded by sea ice and stark, white mountains in the distance. Most of the infrastructure, built by the Navy in the 1950s and 60s, is scattered, scabbed together, and in need of repair, if not replacement. There is talk of a new station, but the funding remains uncertain. According to the NSF, their budget request for 2018 was $6.6 billion, of which the United States Antarctic Program receives less than 10%. To put it in context, for 2019, President Trump has proposed to increase military spending to $681.1 billion. This is all incredibly complicated and I’m not pretending to be an expert on national spending and policy. There just seems to be a strange cognitive dissonance between the kind of high-level research being done by the United States in Antarctica and the neglected infrastructure that supports it. I want to get back to what I do know, the way in which I can try to understand this place—language. When I was in Alaska, I was fascinated by the way people (in and outside the state) spoke about it—the sometimes loaded rhetoric they use. -Of course it is wild here. The juxtaposition of pure wilderness with an industrial wasteland backdrop makes it seem more so from my in town perspective. Wilderness is wherever you can find it. I’ve almost always lived in cities, and looked for the wild in unexpected places. Whatever that may look like to the individual. -No [it is not a wilderness] because wildernesses areas are typically not garbage dumps. Wilderness is untouched parcels of land or water. 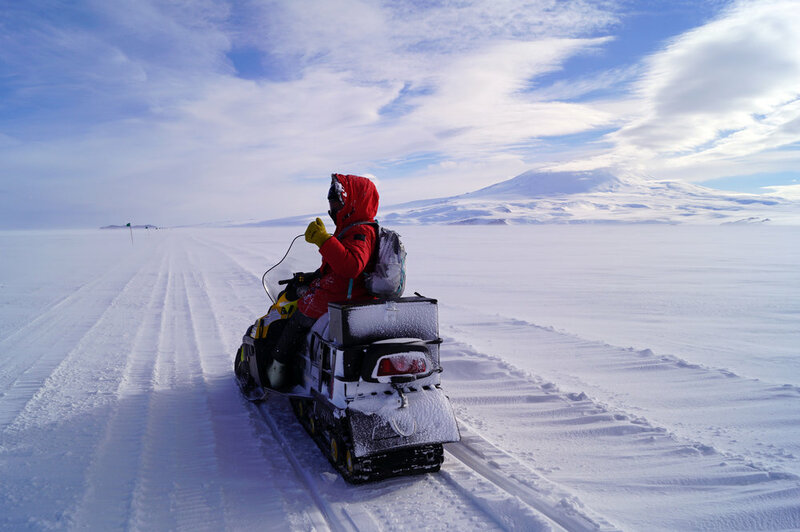 -Usually I associate wilderness with something that’s nearly untouched—and Antarctica is becoming ever more touched, or at least accessible in ways it wasn’t for a longtime. 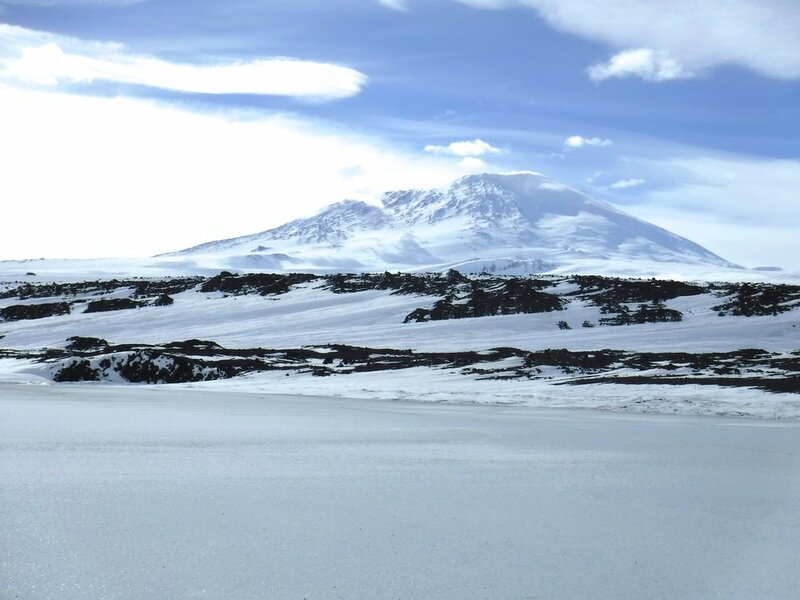 Sometimes it’s hard to imagine Antarctica as an ecosystem, too, since on the surface, so much of it looks so dry and dead and not at all life-sustaining—the opposite of how I picture ‘wilderness’—but it was one and is one. This question of whether we’re meant to be here or not fascinates me. I think the idea that there are places that we shouldn’t be at or places that we have and will spoils stems from how we’ve come to see ourselves as somehow separate from nature, or the natural world. I don’t know if we should be in Antarctica. I do know that I’m lucky to be here. I don’t know if our presence counts as artificial or natural, because we rely on this tether to the outside world—regular deliveries of food and fuel and other supplies—to stay alive and comfortable. But it is an environment that is harsh to humans and one of the few places in the world where humans did not live until about 125 years ago. But, for better or for worse, we are here. Look, here I am with penguins! Cold. Why are we here? What are we doing? Who is it for? Who gets to decide? I think this taps into a broader conversation we’re struggling with—as a nation, what do we value? Who do we want to represent us? How do we want to interact with other populations and places? (Perhaps more pressing—how do we want to treat our own people?) What sort of responsibility will we take for our impact?